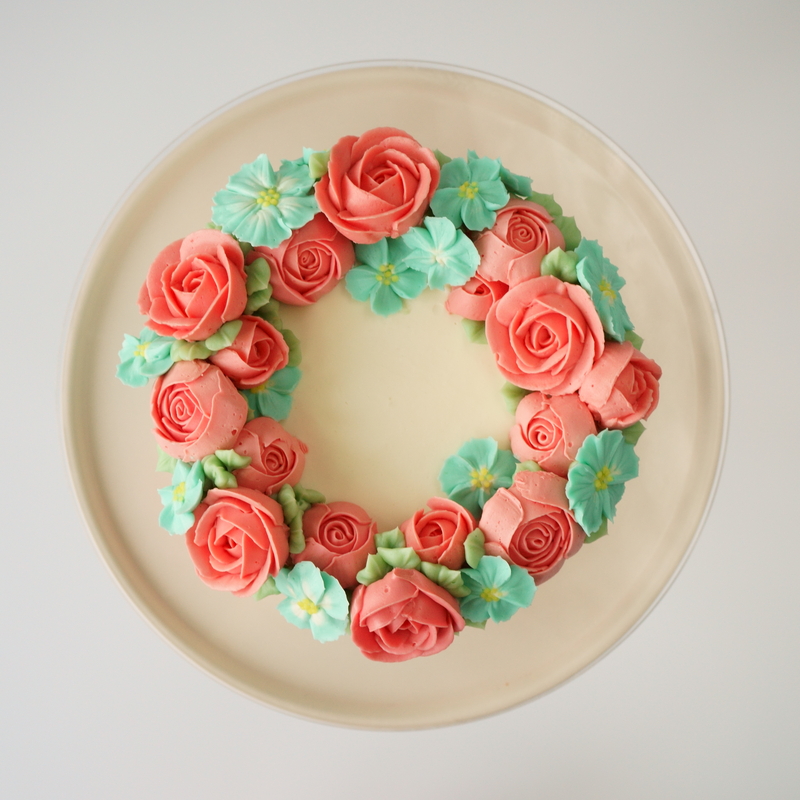 Learn how to make these stunning piped buttercream flowers with our piping and decorating expert, Marianne Stewart. In this one day course, you will learn how to make the most delicious, creamy and pipeable Swiss Meringue Buttercream, and work with petal and leaf nozzles to create a range of different flowers in your choice of colours. You will learn to pipe with a flower nail, how to store, manoeuvre and assemble flowers for a beautiful arrangement. Flowers may vary according to season, but you will typically learn how to pipe ribbon roses, rosebuds, medium roses, blossoms and leaves. If time allows, we can include succulents as well. Suitable for beginners to intermediate level. You will leave with a selection of mini chocolate sponges, adorned with your piped flowers. These mini cakes will last for up to 2 days boxed in the fridge, so can be kept for the weekend. You will also receive the recipe for the moist and fudgey chocolate sponge, Swiss meringue buttercream and a set of instructions for piping the flowers. Please note: the photograph shows examples of the types of flowers you will be piping, you will leave with miniature sponges topped with your piped flowers.